Simon Ng is an independent consultant working on air quality and urban transport issues. Trained as a geographer, Simon is known for his work on ship emissions inventory and control policy in Hong Kong and the Pearl River Delta, as well as on urban walkability issues. 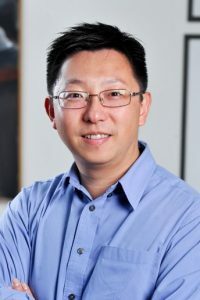 He is the lead author and investigator of several research projects and academic papers, including a marine vessels emission inventory study commissioned by the Environmental Protection Department of the Hong Kong SAR Government, and a number of publications on walking and walkability in Hong Kong. Simon is a Chartered Member of the Chartered Institute of Logistics and Transport in Hong Kong. He has also served as an expert member of the United Nations Centre for Regional Development Regional Environmentally Sustainable Transport Forum in Asia since 2006. Simon was formerly Chief Research Officer of Civic Exchange.